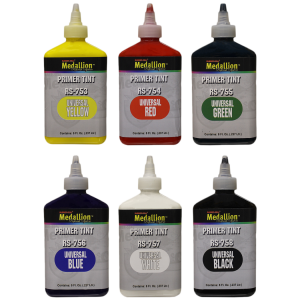 Super high-strength universal primer tints for lacquer, acrylic, epoxy and urethane primers. High pigment concentration moves primer color much faster than basecoat tint colors. Will not change primer performance characteristics when used properly. Packaged in 8 oz. bottle.